The goal at Bistrô da Onça has been that all fresh produce comes from their own farm, and this continues to be their main objective. 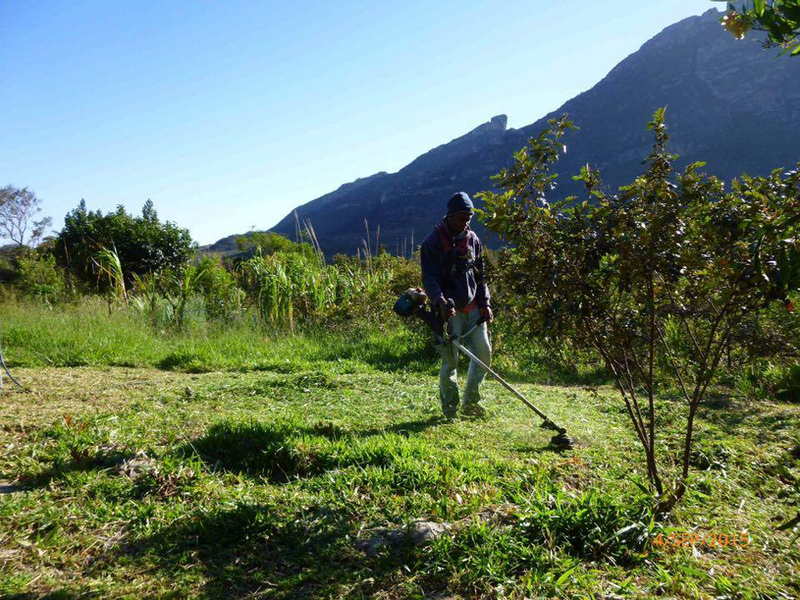 The project began with the decision to restore a neglected piece of property, which at the same time had great potential for biodiversity and agriculture, because it is located in a small valley with a special microclimate due to its altitude, humidity and lower temperatures. The fact of having the National Park next door meant a direct contact with a more natural and wild environment. The Bistrô da Onça is housed in a green, energy efficient building, made of adobe, stone and wood. Both the adobe blocks and the stones came from the property itself, and the green roof is a suspended garden with succulent plants that grant temperature control to the building. Large glass windows help save energy and allow the observation of the surrounding nature. The interior ceiling is made from sheets of boca piu, a traditional local weaving technique made with the straw of the local licuri palm tree. The Bistrô is entirely run by solar energy produced with our own panels and batteries and the entire farm is off-grid. Grey and black waters are separated and treated in evaporation/transpiration tanks where they are used to grow banana plants. The toilets use both bidet and urinal, thus reducing the use of water and paper. All the garbage produced on the property is hand separated. 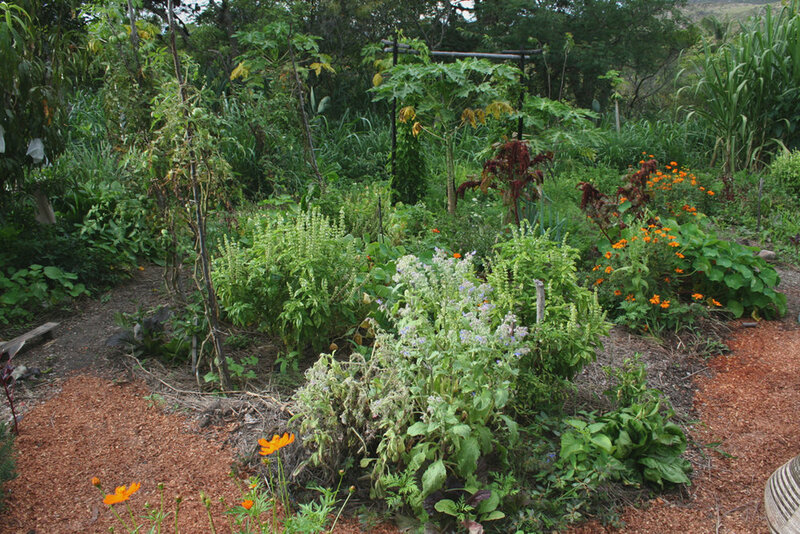 The organic scraps feed the earthworm farm, the chickens and is used for compost. The recyclable trash is taken to the GAP, an association responsible for the recycling in the city of Palmeiras. The Bistrô da Onça gives priority to the conscious and/or restricted use of industrial products and their packaging. Due to the biological water treatment system, only low impact and totally biodegradable cleaning products are used. Soap for both washing dishes and laundry is produced on site at the Bistrô using recycled cooking oil. For multi purpose cleaning vinegar and baking soda is used. Local producers supply the ingredients for some of the products used at the restaurant. Many are families that maintain traditional production methods. 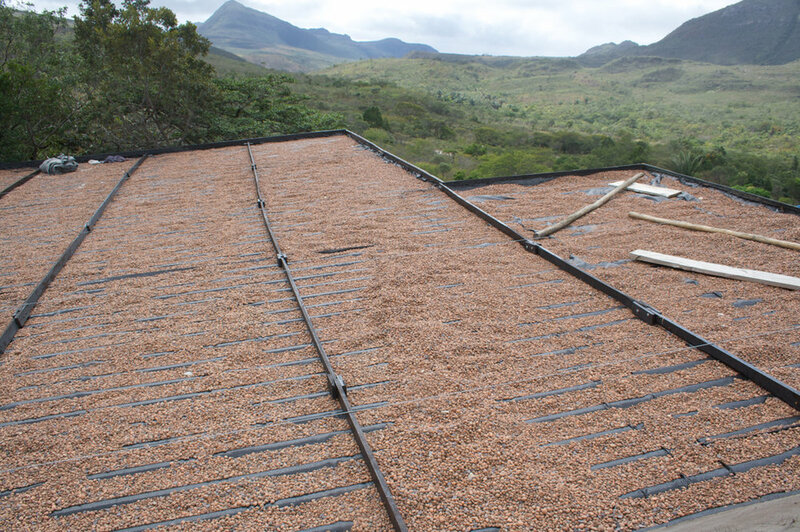 The mandioca flour comes from the Esbarrancado village where wood fired furnaces are still used. The milk used to make the cheese, cream, butter, and dulce de leche and also the licuri coconut oil used in some of their dishes, also come from this neighbouring village.